Disney Villains have become more rare around Walt Disney World than they used to be. We used to see more villains at the “Mix and Mingle” in the Halloween Party, but that was removed, so they gave us a Villains Dance Party for one year and that was removed. They offered us the Villains event inside the Castle, but that was removed. See a theme here right? Well, good news is that with some planning and sometimes some dumb luck, you can find a number of Disney villains around the Walt Disney World theme parks. I’ll detail which are Halloween only and which can be found year around as well. Epcot Training is series of special surprise meet and greets that occur often in Epcot. The Epcot characters need a chance to train their new attendants and photographers, so this is one place that occurs. You can read all about that here. Character Palooza at Hollywood Studios is a special meet and greet that occurs daily for guests to visit with some great characters like Queen Grimhilde, Robin Hood and Dopey some times. You can read about that here. Frontierland Hoedown isn’t a traditional meet and greet, but more of a pop up dance party that occurs often in the Magic Kingdom and features characters from Splash Mountain and the Country Bears. They don’t usually pose for photos any longer, but you might get a photo of your child dancing with them. Pirates and Pals Fireworks Voyage is additional cost offering that allows your family to spend time with Captain Hook, Mr. Smee and Peter Pan, eat some great treats and watch the fireworks from the lagoon in front of the Magic Kingdom. Music is provided on the boats. You can read all about that here. Club Villain is an additional cost offering that allows you to snack on delectable treats as well as meet some great Disney Villains. 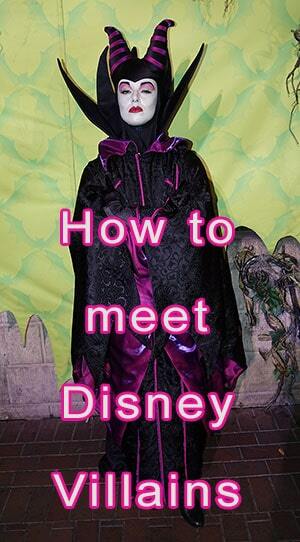 It is currently the ONLY way to meet Maleficent in Walt Disney World. You can read all about that here. Mickey’s Not So Scary Halloween Party is an additional cost offering that allows you to meet a few villains, collect candy, watch a great parade and fireworks and you can end the night with a special Hocus Pocus Villain show at the Castle. You can learn all about that here. Is Club Villain an option for a 2018 trip? With Club Villian gone is there anywhere else to meet Maleficient? I called today for reservations for Club Villian since my 6 year old (soon to be 7) daughter loves villains. Unfortunately they stopped Club Villian at the end of January and there is nothing replacing this experience at this time . Went to Club Villain in early December and even though I thought it was priced high I would definitely go again. Amazing event Queen of Hearts was the best with Maleficent close behind. It is pricey, but one of the few up charges we felt we received value in doing. Good to know, will just check the ADRs closer to trip time. When does the Frontierland hoedown occur? Is it listed in the times guide? Does Brer Fox not meet at Palooza? Also Mother Gothel anywhere, Hades or Frollo? Thanks. Awesome Thanks! Wish Maleficent was more common! 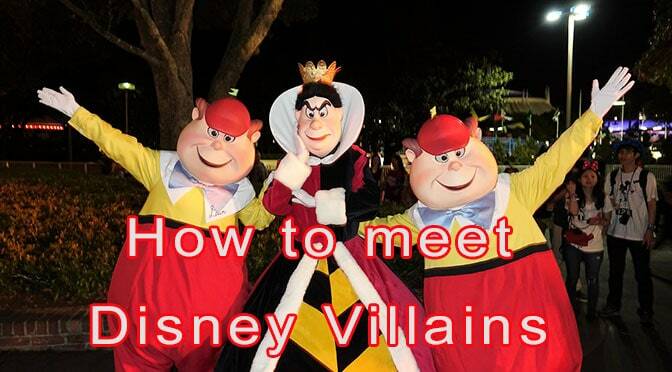 RunDisney events seem to be the easiest way to meet the villains now. Why does Disney World hate their villains? They oversold both of their villains events at Hollywood Studios (and they were surprised). More people stop on the DisneyRun events for Villains than any others. People tend to have enjoyed MNSSHP events more than any other event. I feel like they are blind to the potential they have. Totally agree! My family loves the villains! I don’t get cutting characters period. It is what makes Disney Disney and not just another theme park. It seems like they keep removing characters and replacing them with different Mickey/fab 5s. I like those guys don’t get me wrong, but I really would like more variety in the characters. Wonder why Disney doesn’t recognize this? Agree my boy loves Maleficent and Queen. I saw posts that looked like club villian had been hold other times of year but we are going December. Also so expensive!